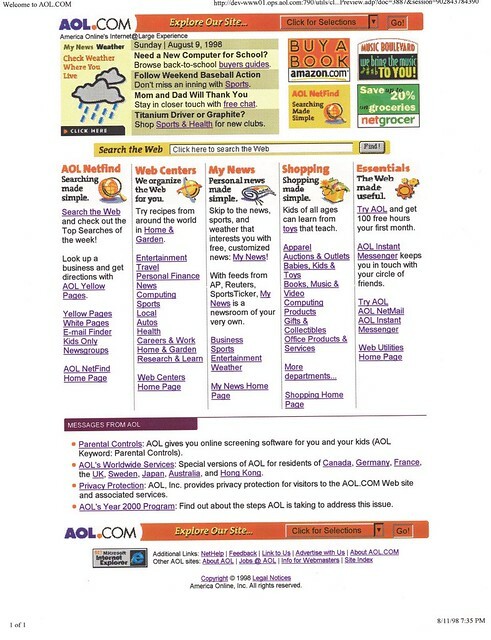 August 9, 1998: Nothing special above or below the fold, except the generic weather promo graphic is the exact same one I used the previous Wednesday. This wasn't even the first repeat: The baseball promo photo from August 4 (featuring Ken Griffey, Jr.) was the same one we launched with on July 14. Repeating promo text—and even entire lineups—was just the nature of the beast. I would at least try to tweak wording, though the promo graphic text at this point was baked in; I wasn't allowed to touch (and didn't even have) the source files.